In March, the Ukrainian Association of Rayon and Oblast Councils will conduct five professional workshops. 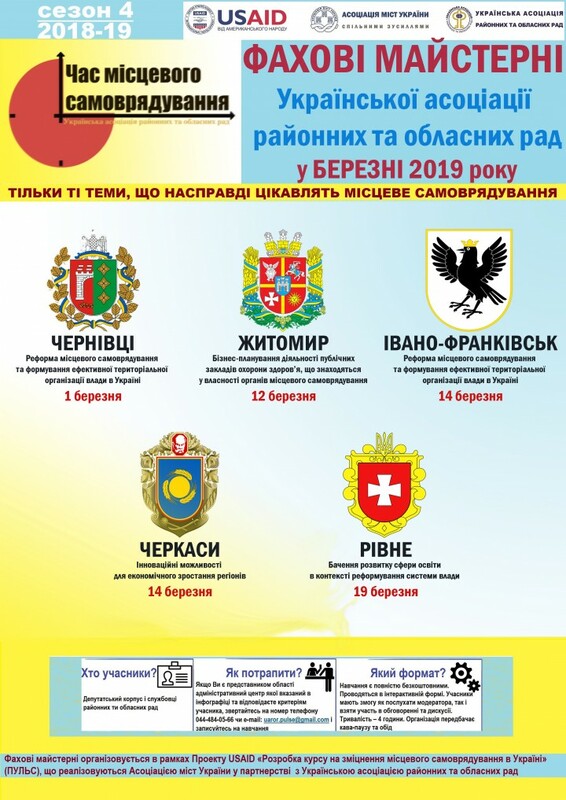 The events will be held in the Chernivtsi, Zhytomyr, Ivano-Frankivsk, Cherkasy and Rivne Oblasts. The training is designed for representatives of rayon and oblast councils, who have suggested thematic content themselves. The format provides clarification of legislation and involves practical exercises, moderated by the Ukrainian experts. 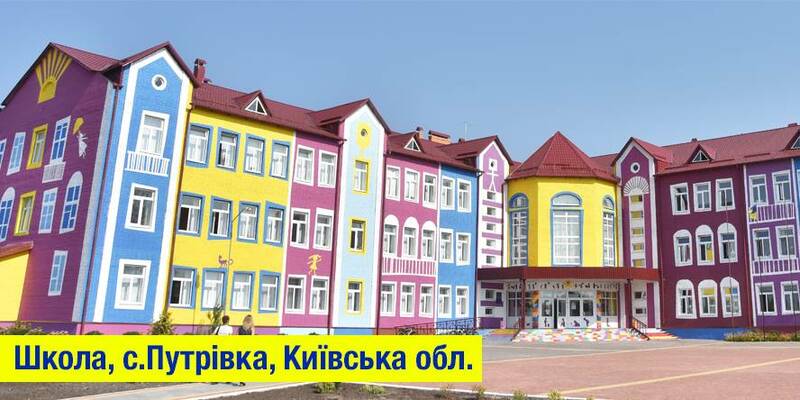 Professional workshops are free of charge and will be held in the premises of oblast councils of the respective region. It is possible to register for the training at the telephone number: 044-484-05-66, or by writing to: uaror@ukr.net. When registering, it is necessary to inform your surname, first name and patronymic, name of a local self-government body, post and contact phone number. 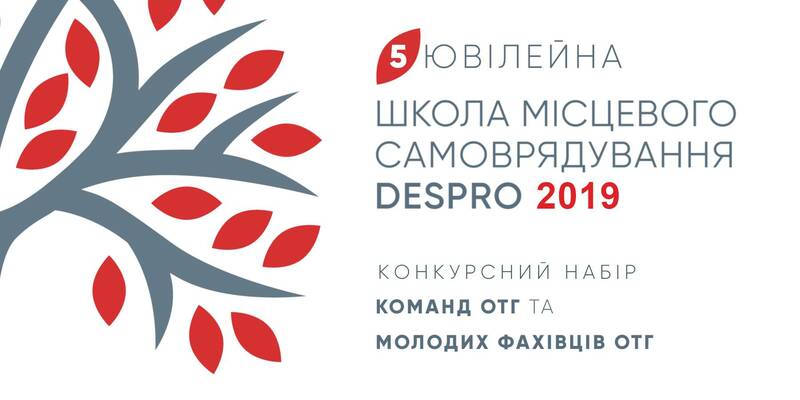 The event is organised within the framework of the USAID Project “Development of a Course for Strengthening Local Self-Government in Ukraine” (PULSE), implemented by the Association of Ukrainian Cities in partnership with the Ukrainian Association of Rayon and Oblast Councils. 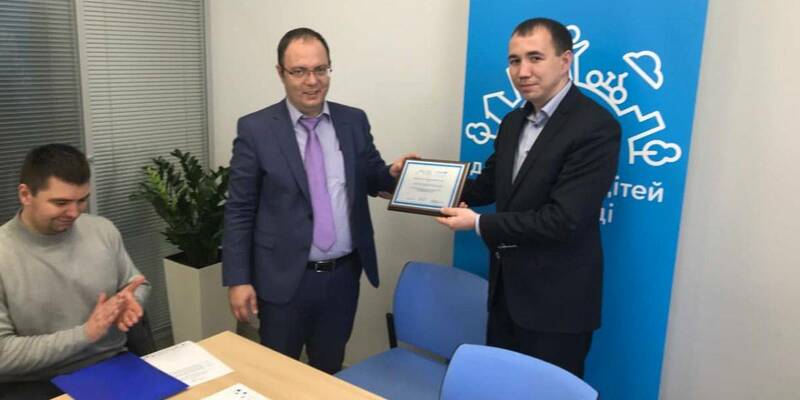 It is worth recalling that in February, professional workshops took place for representatives of rayon and oblast councils of the Khmelnytskyi, Dnipropetrovsk and Sumy Oblasts.